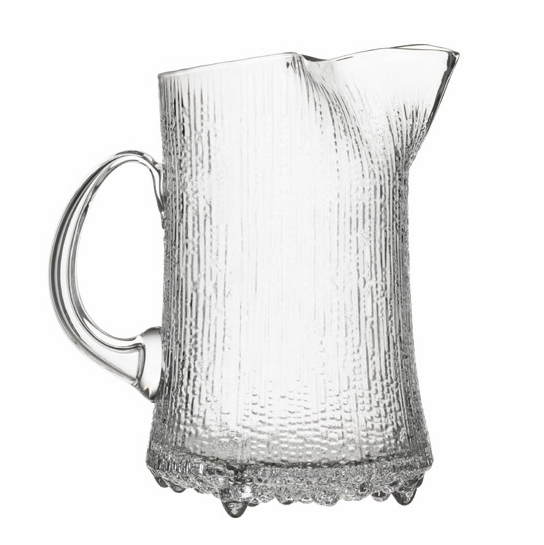 More about iittala Ultima Thule Ice Lip Pitcher In modern literature, Ultima Thule is used to reference the furthest possible place in the world. Tapio Wirkkala's Ultima Thule glassware similarly references the icy cold reaches of Scandinaiva and the distinct expressive power of Finnish glass. Designed in 1968, Wirkkala’s Ultima Thule contributed to iittala’s national breakthrough and remains a distinctive iittala design. 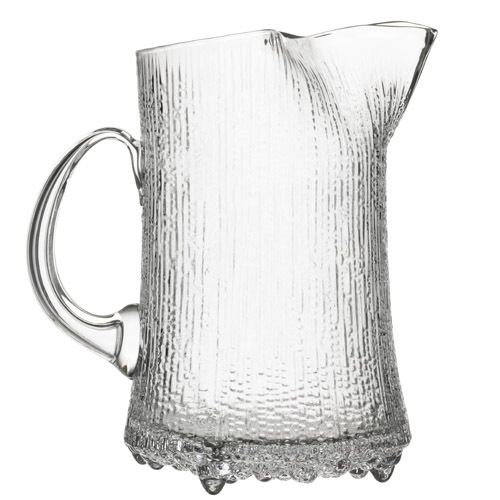 The Ultima Thule ice lip pitcher has textured sides that reference the northern icy terrain of Scandinavia. 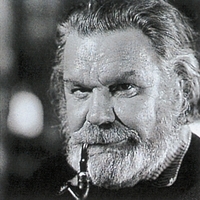 The unique texture of the glass is created by a time-laboring technique that is created by the molten glass burning the surface of the wooden moulds. This glass pitcher is very unique. I use it to serve fruit juice everyday! Iâ€™ve wanted this pitcher for a long time because it goes with my glasses. Itâ€™s substantial and stable/well balanced. Itâ€™s beautiful sitting on my table whether it holds iced tea, water or a bouquet of flowers. Yes, itâ€™s a splurge but itâ€™s so lovely. I purchased this gem earlier this year and have used and enjoyed it on many occasions. Nice size, nicely weighted and lovely on the table. Compliments my Ulitma Thule glasses. This Ittala Ultimate Thule Ice Lip Pitcher is very nice! It is a perfect size ... not too large. It is too beautiful to be stored in a cupboard ... it has found its place in our bar area... thank you Finn Style! 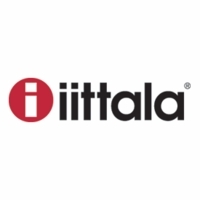 ProsTop quality as are all Iittala products! This is a gift. It cam packed very well & without any flaws. I love this pitcher because it's not too big. It's very elegant and doesn't take up so much room on the table. ProsJust the right size for the table.